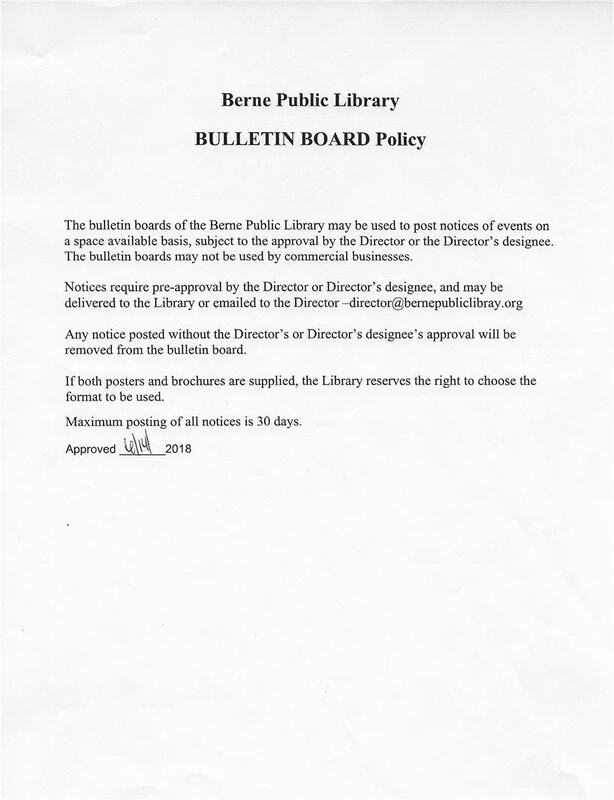 Bulletin Board Policy, updated 6/14/18. Exhibits and Display Policy, updated 7/12/18. Late Fees – $.10 per day for overdue books, audiobooks, movies on DVDs, books on CDs, and music CDs; $1.00 per day for overdue new DVDs. Rules of Public Behavior updated 11/13/18. 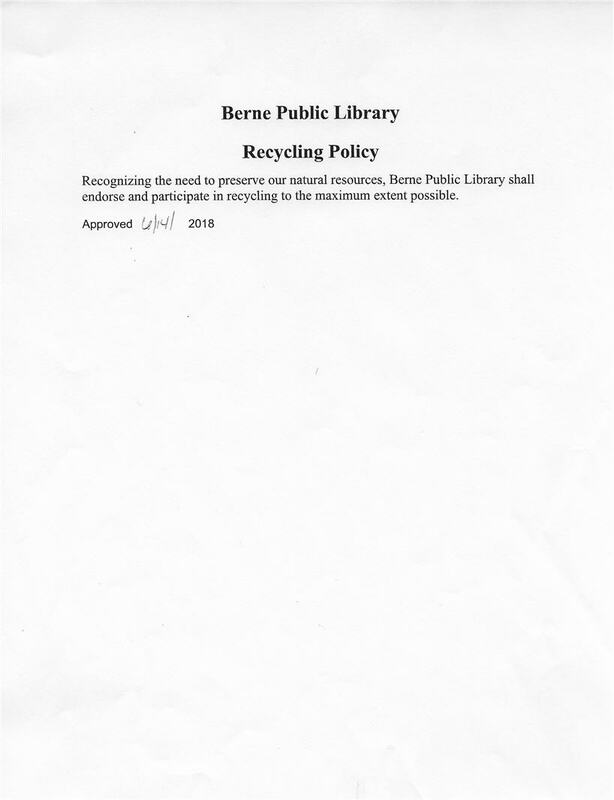 Statement of Concern about Library Resources (form).